Sometimes, just sometimes, I see an idea that involves a celebrity and think “that was a belting piece of work – a partnership made in heaven between a brand and a genuine ambassador”. 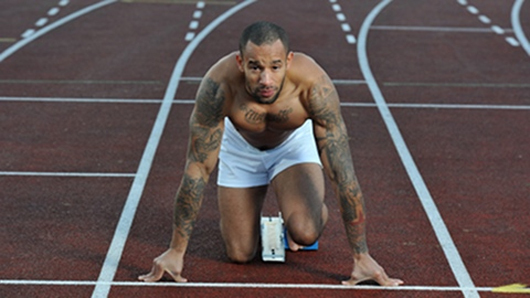 Reading about Will King’s sponsorship of Team GB athlete, James Ellington, I got just that feeling (if you didn’t see it, try the Standard (made page three), or Telegraph pieces for a potted summary). They say that every challenger brand needs a dragon to slay, saving its consumers from “harm”. Will’s dragons have long been the super-premium men’s brands that don’t justify their price point and, at the same time, the global behemoth that is Gillette. He rarely says it, but you know that’s what it’s about. So what better way to do that through King of Shaves’ own PR than supporting an athlete who had failed to find corporate sponsorship, put himself on eBay to raise £30,000 only to find that a bid for £32,500 was a hoax? The whole stunt puts a splendid contrast between the challenger’s approach (backing the underdog who really needs it) against the global mega brand’s (which bought Federer, Woods and Henry – three men who hardly need the money). That’s what Will King did. He got in touch with the athlete on Twitter to say that, if the auction fell through, King of Shaves would back him. Which duly he did. What makes the stunt work? A basic narrative: take on a monster (whether in this case, Gilette, other corporates that didn’t back an Olympic hopeful or the bastards who let him down on eBay). Make your brand the media hero. Champion the underdog, throwing “interesting” at communications problems, rather than throwing money at them. That’s the other part of the philosophy here. The final thing, though is a “just get on with it” approach. Spot an opportunity (in this case on Twitter) and seize the moment – it’s often where the best ideas come from.